Born in McHenry, IL, a native of Crystal Lake, IL, and a 2001 graduate of Prairie Ridge High School, Staff Sergeant Christopher Antonik enlisted in the Marine Corps in May 2001. He began his career as a Reconnaissance Marine, first with 3rd Reconnaissance Battalion in Okinawa, Japan, and then with 1st Recon Company, Camp Pendleton, CA. SSgt. Antonik was a parachutist and combat diver, and joined MARSOC in September 2009. SSgt. Antonik deployed in support of both Operations Iraqi Freedom and Enduring Freedom. SSgt. Antonik was conducting a cordon and search mission in Hydarabad, Helmand Province, in order to tie the population into a greater construction project in the area. He was leading his element and partnered Afghan forces on a foot patrol when he was killed by an Improvised Explosive Device. SSgt. 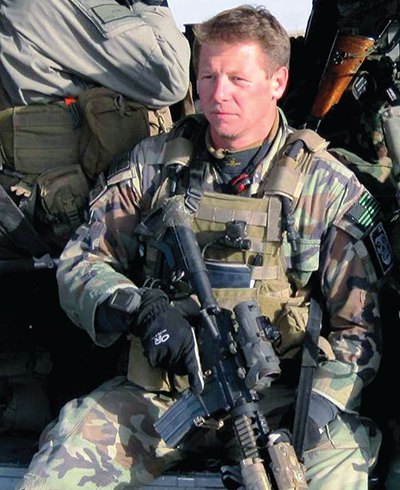 Antonik’s personal decorations include Bronze Star with combat V, Purple Heart, Navy-Marine Corps Achievement Medal with combat V, two Combat Action Ribbons and three Good Conduct Medals.